It seems as though the light shines on this man, but that is not true. The man himself radiates light in this room of darkness. However, it is not only in this room where he emits light; he also glows as a source of light to the entire world. Many weep and cry out in pain engulfed by a dark world of isolation. They screech out for help, and hope seems to vanish, but at the moment of deepest despair, hope reappears. A glow progressively brightens, vanquishing all darkness, and at long last, laughter replaces the cries. 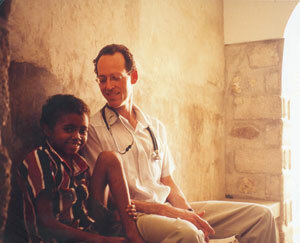 This glow radiates from Dr. Farmer – a physician and humanitarian. 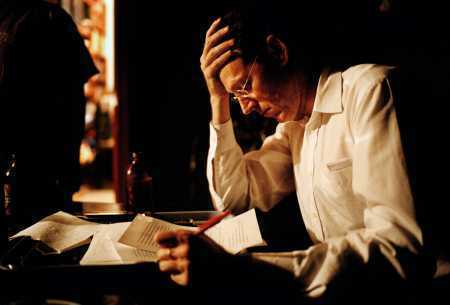 A source of light in a world haunted by darkness, Dr. Paul Farmer embodies heroism through his willingness to make sacrifices and his commitment to do what is right. 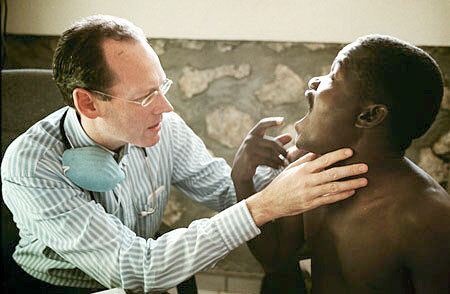 Born on October 26, 1959, in Adams, Massachusetts, Dr. Paul Farmer grew up with five siblings. Rarely spending time in a fixed house, the Farmers constantly moved from place to place, from bus to boat. However, Dr. Farmer “still managed to graduate as valedictorian of his high school class, with a full scholarship to Duke University” (“An Altruist Without Borders”). At Duke University, Dr. Farmer “met a number of Haitian migrant workers and realized that their wretched living conditions made his own childhood look idyllic” (“An Altruist Without Borders”). Upon graduating from Duke University, Dr. Farmer flew to Haiti in the summer of 1983, with a mindset to establish some good. He soon began medical school in Harvard but continued to visit Haiti nonetheless. He came to love the Haitian people, and disgusted by their abject living conditions, he founded the Zanmi Lastane clinic in Haiti in 1984. Zanmi Lastane’s “medical outcomes are stunning. It has reduced the rate of HIV transmission from mothers to babies to 4 percent … It has developed a successful, remarkably efficient approach to the treatment of tuberculosis, which kills more adult Haitians than any other disease” (Lysaught). In addition, upon his realization that many other countries besides Haiti cried for help, Dr. Farmer co-founded Partners In Health (PIH) while still a student at Harvard Medical School. Partners In Health, a non-profit organization that provides free healthcare and advocacy for the less fortunate, have established clinics similar to Zanmi Lastane in Peru, Siberia, and Rwanda (“Health As A Birthright”). 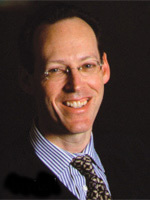 Dr. Paul Farmer continues to advocate equal health rights by challenging world health organizations’ treatment of infectious diseases, which has won him the title of 2008 Great Brooksvillian and the honor of a 2009 Nobel Peace Prize nomination. He serves also as Presley Professor Medical Anthropology at Harvard Medical School and the chief of the Division of Social Medicine and Health Inequalities of Brigham and Women’s Hospital in Boston. All of Dr. Farmer’s efforts show that he truly shines light into the world. Dr. Farmer’s willingness to make sacrifices serves as a constituent of his admirable heroism. He dedicates his life to help those in need and this dedication proves to bring dangers to him. For instance, he admits, “ ‘I get the odd bout of malaria and once I contracted TB. I also came down with amoebic dysentery in Haiti. I ended up in a shabby hospital in Port-au-Prince with no toilets or beds so I had to lie on the floor. I also contracted hepatitis A’ ” (Dr. Farmer quoted in Abraham). However, despite these dangers, Dr. Farmer continues to doctor people across the globe. He believes that the health and lives of thousands should not be abandoned at the convenience of one person. His significant understanding - that the lives of thousands weigh exceedingly more than the comfort of his self - wills him to make sacrifices for a greater good. He further demonstrates his willingness to make sacrifices as he “… fights to wrest medicine, equipment and funding from First World societies that he sees as complacent and even content with the unfair distribution of resources … In the evenings, when most of us are asleep, Farmer is hunched over his laptop, trying to pull funds from every possible source” (Bendis). Dr. Farmer does everything in his power to help anyone in need, including committing his time and energy to provide health care to those less fortunate than most. In addition, he chose to trek across Haiti to find a tuberculosis patient, fly to Cuba to examine that country’s care of the poor, to Harvard to secure medical supplies, then to Chicago to give a speech (Bendis). He proves committed to sacrificing his time and energy even for the health of one individual. Dr. Farmer’s determination to make many personal sacrifices brightens his glow and endorses his title of hero. Another trait that constitutes Dr. Farmer’s heroism comes from his dedication to do what is right, even when it proves difficult. He refuses to support immorality, as shown when he says in an interview, “ ‘Tuberculosis is an air-borne disease, and “anyone can get it” as people say. But why doesn't everyone get it? Because those who live in crowded conditions, are malnourished and are around people with TB who don't have ready' access to care … are those most likely to acquire and then pass on this disease. They are also the only people in the modern world likely to die of TB, since it's almost 100 percent curable. So why does TB still kill 2 million people each year?’ ” (Dr. Farmer quoted in Bendis). Dr. Farmer understands the fact that many people are unjustly dying from a curable disease, and therefore he strives to treat these dying millions. On the other hand, the world immorally chooses ignorance over action, leading to the negligence of an unfairly dying population. Dr. Farmer refuses to uncomplicatedly conform to his surroundings that support ignorance and instead “regularly challenges the world's policymakers to view health care as a basic human right, rather than a luxury available only to those who can afford it” (“Health As A Birthright”). Another example of his determination to do right lies in his past successful suggestion of “community-based solutions to [a nation’s] health problems. That meant … training local residents as doctors, technicians, and outreach workers who could diagnose and treat their neighbors. It meant using standard drugs to treat TB, but with close observation to make sure the patient sticks to the regimen. Through dogged campaigning, Farmer eventually got the World Health Organization to endorse this method” (“Health As A Birthright”). Proposing this method in the midst of ignorance illustrates Dr. Farmer’s determination to do right. As shown through his opposition to conformity, Dr. Farmer resolutely resolves to do right, providing radiance in black surroundings. Not only does Dr. Farmer make sacrifices and decide to do the right thing, he proves to be an inspiration to those around him. For example, Farmer “spent far more time in Haiti than in the classroom, setting up the Zanmi Lastane clinic -- and still managed to graduate from Harvard at the top of his class, simultaneously receiving an MD and a PhD in anthropology” (“Health As A Birthright”). Dr. Farmer exemplifies relentless self-motivation. While still in medical school, he managed to effectively use his life to help those in need. He lived by his understanding of the importance of both education and the lives of others. Dr. Farmer further proves inspiring because he did not have a “traditional childhood. To begin with, not much of it was spent in a house. … The family lived for a while on a bus and a boat, sometimes without appliances and often without running water” (Bendis). 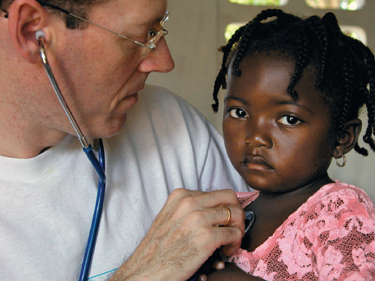 Despite these circumstances, Dr. Farmer created Zanmi Lastane, “a highly effective public-health system” in Haiti (Lysaught). Zanmi Lasante serves as an “oasis in one of the poorest parts of the poorest country in the Western Hemisphere” (Lysaught). Dr. Farmer did not allow his circumstances function as an excuse for not trying to achieve big. Instead he proved that anyone, regardless of their background, can make a difference in the world. Dr. Farmer inspires those around him to embrace self-motivation and to believe that anyone can make a difference. Powerfully instilling inspiration in people, Dr. Farmer represents heroism through the sacrifices he is passionately willing to make and his prudent choices of right over wrong. These characteristics form a gleaming light that shines as an everlasting hope to those trapped in profound blackness.